Who Is Behind Gaza's Mass Execution in Khuzaa? KHUZAA, Gaza — In a small bathroom on the edge of the Gaza town of Khuzaa there are the haunting signs of what looks like the summary execution of several Palestinians. This once vibrant village near the border with Israel sits on the edge of the city of Khan Younis, but it is well within the 1.8-mile “buffer zone” that Israel has turned into a no-man’s land. 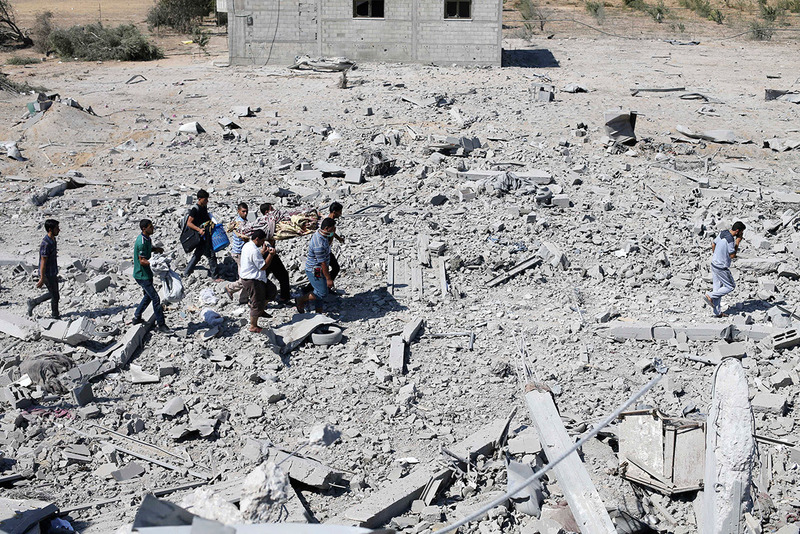 It has been inaccessible for weeks as Israeli bombardment and troops try to take out heavy guerrilla resistance. Now all that’s left is rubble, bombed-out buildings and the all-encompassing, sickening smell of death. The temporary ceasefire announced Thursday night was supposed to give the residents of places like this time to return home, take stock of the damage and collect belongings. But the “72-hour” ceasefire broke down after 90 minutes, and as I walked through the main street, where pieces of humans were visible beneath homes and stores, the constant thud of exploding Israeli shells grew closer and closer. As I reach the berm of sand, tile and stucco that marked a kind of front line, bodies are being piled on carts in the street. Near the ruins of a demolished store, the black ammunition vests worn by Palestinian fighters lie in tatters as if hastily stripped off. There are no bodies or weapons nearby. Suddenly journalists and local residents are shouting from a house on the edge of the front. The small family home is still intact but the stench of rotting flesh that comes from inside is overpowering. A barefoot corpse in camouflaged khakis is being carried into the street, partially wrapped in rug, as I enter the house. His partly burned and partly decomposing face is unrecognizable as anyone who was ever alive and breathing. Witnesses say there were at least six bodies piled together inside this one tiled room where the air is poisonous with decay. Blood and blackened remnants are caked on the bathroom floor. The walls have been drenched in blood and they are pocked with scores of bullet holes that look as if they were fired from an automatic weapon at waist level. Some of the bullet holes are in line, as if the gun were sweeping across its targets. There is also soot staining the tiles, suggesting the bodies were burned or there had been a small blast. Several tiles have fallen away from the wall. The house is filled with casings from the bullets used in assault rifles. They are marked on the bottom as “IMI” (Israel Military Industries). What happened here? It is the kind of place and the kind of incident that may be studied for years. We may hear that the Palestinians were executing suspected collaborators, or that a lone Israeli soldier went mad and started murdering prisoners. It could be that members of an Israeli army unit at the center of the fighting decided to take out their rage on those they captured. There may be many theories. All I can tell you is what I saw and heard at the scene this day. Twenty-one-year-old Naban Abu Shaar told me he was one of the first to find the bodies. He said they looked as if they were “melted” and piled on top of each other. “When we entered the bathroom, I found the bodies of people slumped on top of each other in the corner,” he said, staring into the distance as if disconnected from his words. The owner of the house, Mohammad Abu Al Sharif, said he couldn’t recognize the bodies but believed, because of their clothes, some of the dead may have been from his family. He did not say if any of them were fighters. The house had nine members living in it before Abu Al Sharif, his wife and four daughters escaped Khuzaa 20 days ago. He lost contact with those who stayed, he said. In the streets around, some residents pulled clothes and blankets from the crushed concrete of obliterated homes while others used farming tools to unearth the dead. Shell-shocked women stumbled down the pulverized road, wiping sweat and tears with their hejabs as they cursed—to no one in particular -- both Palestinian Authority President Mahmoud Abbas and Egyptian President Abdel Fattah al Sisi for not protecting them from Israel. The signs of the panicked flight almost three weeks ago were apparent everywhere in town. Neatly hung laundry still dangled over the main street from the second-floor balcony of an apartment above a blown-out storefront. 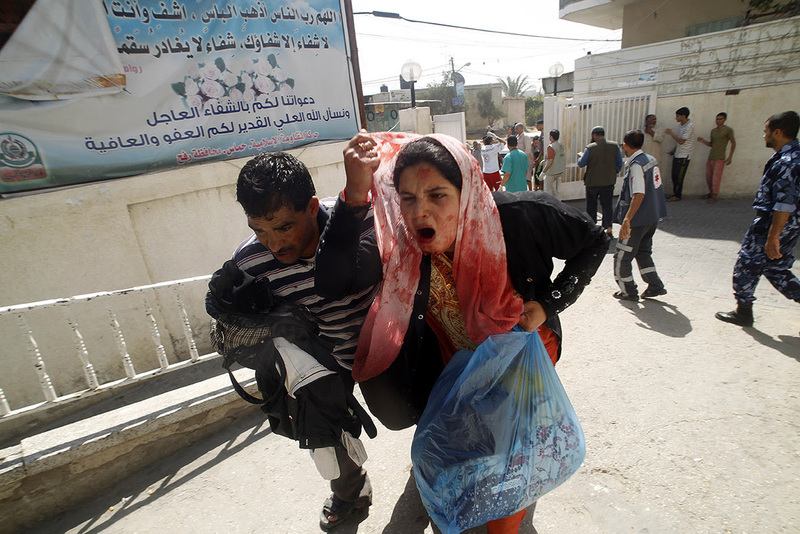 Khalid al Najar, 27, was half dazed as he walked back toward Khan Younis with a plastic bag of clothes. This is his first time returning home since he fled nearly three weeks ago. “I’m from a place that used to be called Khuzaa,” he told me. A scientist who studied at Manchester University has been killed after the UN car he was in was hit during an Israeli military assault on Gaza. Dr Bashir al-Hajjar died alongside his younger brother Muneer during the strike in Beer al-Naja in the north of the region. 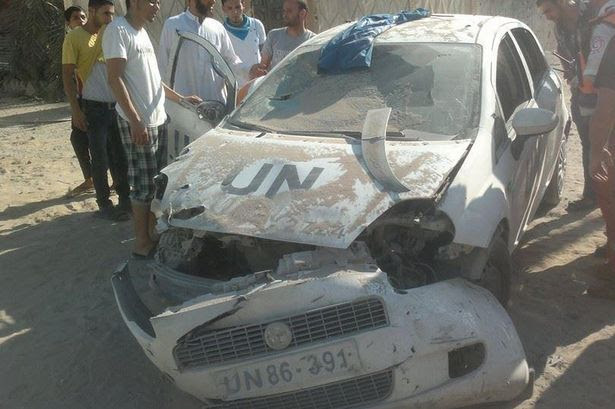 They were travelling in a marked United Nations Relief and Works Agency car when shells landed in front of it and on its bonnet. Relatives told the M.E.N. how Dr al-Hajjar, a father-of-one, died instantly –- while Muneer, who worked for the UN, lived for six minutes as he begged rescuers to help his brother and not him. Muneer’s eight-year-old son, also in the vehicle, survived but has been left with serious leg injuries. Dr al-Hajjar, 47, lived in Rusholme with wife Iman and daughter Sathia, 13, between 2010 and 2013 while he completed a PhD in Mental Health Nursing –- writing a thesis on stress among hospital nurses in Gaza. He has three PhDs and was most recently a lecturer at the Islamic University of Gaza. 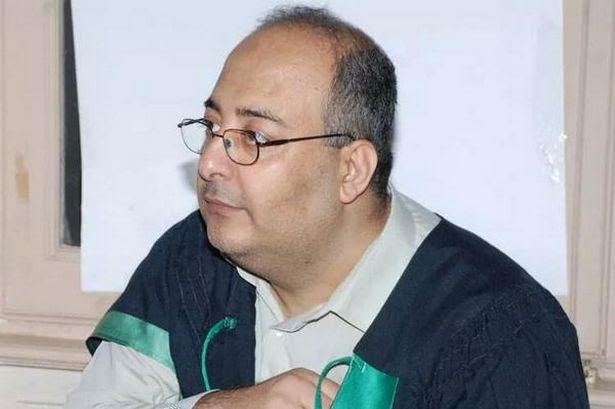 Dr Ramy Abdu, the Gaza-based chair of human rights group Euro-mid Observer, became close friends with Dr al-Hajjar as they both studied in Manchester. Dr al-Hajjar was killed on Tuesday afternoon -– hours before 16 Palestinians died and more than 90 were injured when Israeli tank shells hit a UNRWA school sheltering refugees in Jabalia. 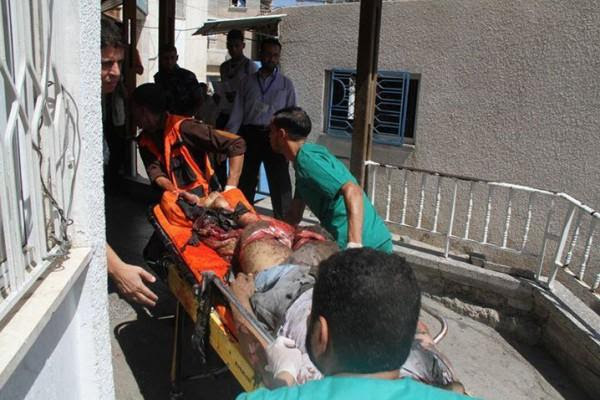 More than 1,300 Palestinians, mostly civilians, have been killed in 23 days of fighting between Israel and Hamas. More than 50 Israelis, mostly soldiers, have been killed. The Israel Defence Forces did not provide a comment. Family of Dr Bashir al-Hajjar said he had talked of moving back to Britain for the sake of his daughter in the days before he was killed. The respected scientist had realised a ‘dream’ after gaining a PhD in Manchester -– and was a well-known and popular member of the city’s academic community. In recent days, he had started to believe he could no longer keep his family safe in Gaza so talked to brother-in-law Iyad about returning to Britain after Sothia, 13, finished secondary school. Dr al-Hajjar lived in Beer al-Naja but decided to move back to his family’s home in Jabalia because he believed it would be safer. He and his brother Muneer, 38, were killed as they travelled to the academic’s house in Beer al-Naja in a UN car to pick up some belongings. Brother-in-law Iyad broke down in tears as he described how thousands of people attended their funerals in the hours after their deaths. He added: “It’s a huge loss. Bashir was in the middle of completing research papers on crucial issues. Who is going to finish them now? 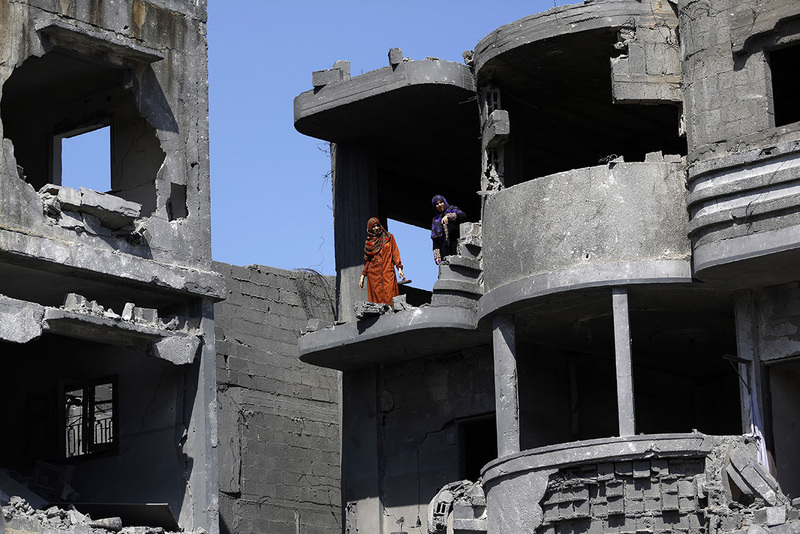 Palestinians in the Gaza Strip are entrapped in what Professor Nadera Shalhoub-Kevorkian of Hebrew University terms "a zone of non-existence." In this zone, she argues, one finds "new spaces of obscenity in the politics of day-to-day lives" where engaging in normal, everyday acts of living and working -- going to school, visiting neighbors, traveling abroad, planting a tree, growing vegetables and selling products in a nearby market -- are treated as criminal activities, punishable, in some instances, by death. In these obscene spaces, innocent human beings -- most of them, children -- are slowly being poisoned by the water they drink, all with the knowledge and acquiescence of the world community. This disfigurement of everyday life is, for me, as a Jew, painfully symbolized in the Star of David that was gouged into Gaza’s soil during Israel’s 2008 war on the territory. Yet the desecration of the land in this way not only points to the destruction of a way of life and means of survival for Palestinians, it embodies the limitations of Israeli power and the failings of Jewish life as well. No doubt those who wrested the Star of David from Gaza’s land meant to convey the presence and the power of the Jewish state over the destiny of others. Yet this power is one of deprivation and ruin, and it speaks profoundly to our own inability to live a life without the walls we are constantly asked to build. As I have hopefully shown, the people of Gaza are being deliberately targeted and a crime against them is being committed. More than anything, this crime is found in the daily and unrelenting assault on their economy and society for which the United States, the European Union and various Arab states bear enormous responsibility together with Israel. Whether you deliberately shoot a human being through the heart with a bullet or deprive him of a home, livelihood, and the means to care for his children, you are saying to that human being that he has no right to exist. In this way, among others, Gaza speaks to the unnaturalness of our own condition as Jews. 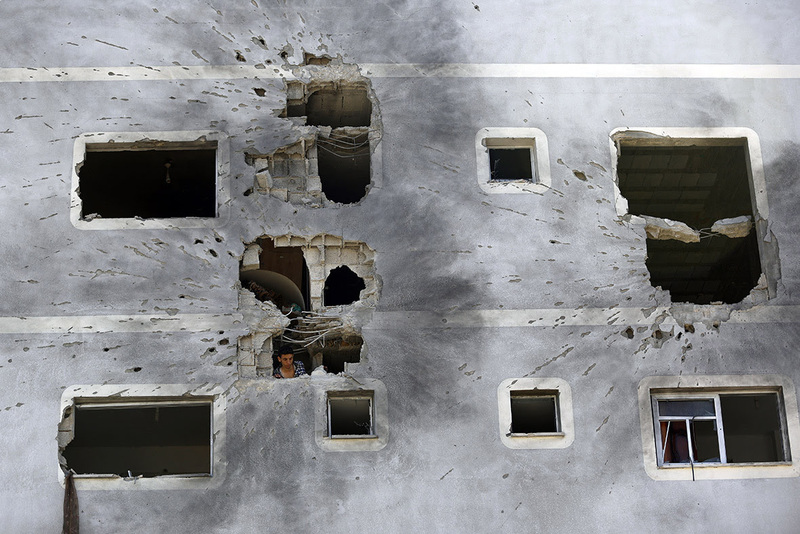 For in Gaza, we seek remedy and consolation in the ruin of another people, "[o]bserving the windows of [their] houses through the sites of rifles," to borrow from the Israeli poet, Almog Behar. It is ironic then that our own salvation now lies in Gaza’s. And no degree of distance or separation can ever change that. Dr. Sara Roy is a senior research scholar at the Center for Middle Eastern Studies at Harvard University where she completed her doctoral studies in international development and education. Trained as a political economist, Dr. Roy has worked in the Gaza Strip and West Bank since 1985 conducting research primarily on the economic, social and political development of the Gaza Strip and on U.S. foreign aid to the region. Dr. Roy has written extensively on the Palestinian economy, particularly in Gaza, and has documented its development over the last three decades. Her most recent book, Hamas and Civil Society in Gaza: Engaging the Islamist Social Sector, was published in 2011 by Princeton University Press. This lecture is drawn from a longer research work that will be published as a new introduction to the third edition of her book The Gaza Strip: the Political Economy of De-development from the Institute for Palestine Studies. The first thing I noticed was a tug at my arm. I looked down to see a young girl in a blue top smiling up at me. We had come to the Al-Shate refugee camp in central Gaza City, to film where an Israeli strike had hit the Al-Sosi moque a couple of days ago, destroying it, and collapsing one of the minarets. The tower had fallen right across the street, taking with it the whole face of an apartment block opposite. In my very broken Arabic I said hello to that same girl who was trying to talk to me. "Where are you from?" I asked. "There!" she said, pointing to the third floor of the building across the road. The whole face of the block had been destroyed. From the street below we could see furniture, beds, a wardrobe. "Come and see," she said. Her name was Bisan, and she was 10-years-old. Including this conflict, she has already witnessed three wars in the last six years. She introduced me to her father Wiam, and we walked upstairs and meet the rest of her family, still living among the debris. An Israeli drone had dropped two warning rockets, known as a "knock on roof" on their house at 2.30am, two nights previously. The family was given just five minutes to clear their home. "It was terrifying, we had to run away so quickly," she told us. She led us around her bedroom, now a dusty ruin, and showed us the computer where she liked to work. In the living room, three white cats played in the corner among the mattresses where many of the family were now sleeping. Around 30 of them were now crammed into a few rooms. In the kitchen, some of the women made bread, while the younger boys insisted on talking to us about football. "You like Real Madrid?" her cousin Mohammed asked, wearing a white Madrid shirt himself. "Sure," I said. He seemed pleased. Like every family I have met in Gaza, they were warm and welcoming. Before we left Bisan told us: "My favourite subject is English, I would like to be a journalist one day." I hope she gets the chance. 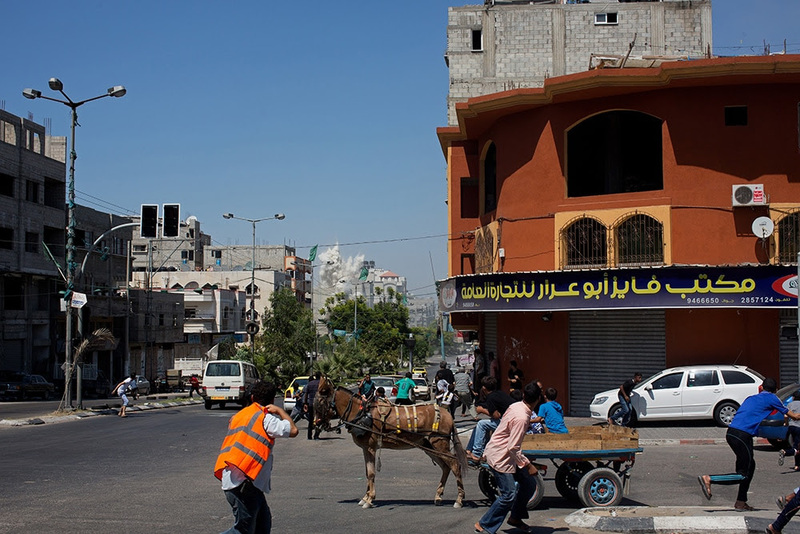 The Guardian's Jason Burke was in the town of Beit Hanoun when the ceasefire began to crumble after just a few hours. It was quite a heavy night with a fair amount of naval shelling coming in and what sounded like some significant airstrikes but all was quiet after 8am. In Gaza City, fishermen immediately put to sea, cautiously keeping close to the shore, after nearly four weeks without working. There was a general sense of real relief. Most people I spoke to seemed to think the ceasefire would hold. 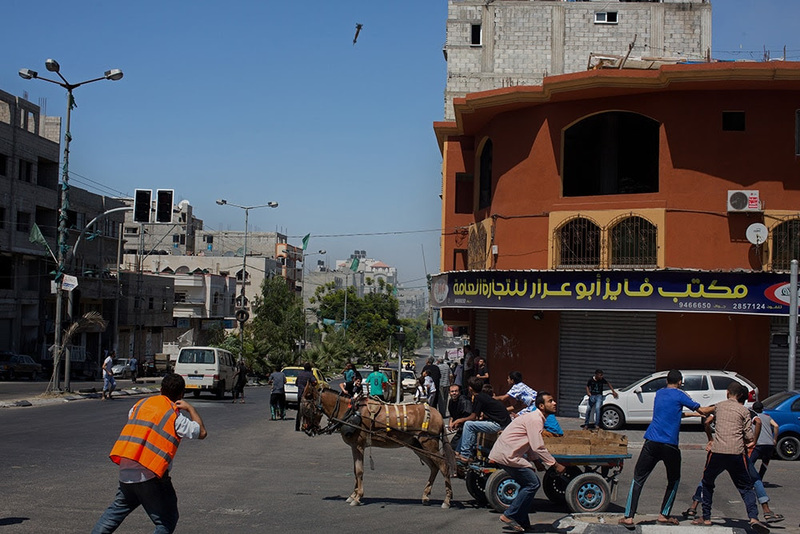 Up in Beit Hanoun, a town near the northern border of Gaza which has seen sustained bombardment and fighting, hundreds of families were making their way back to find their homes, or what remained of them. A couple of bulldozers were trying to clear some of the streets. Power lines coiled across the streets, amid the putrefying corpses of dead donkeys. One woman sat sobbing in the rubble. Many people were very angry. “This is like the second world war, like a nuclear explosion,” said Ahmed Kufurna, 40. But about 11am, we could hear small arms fire and see what appeared to be strikes from artillery or tank fire around the town’s edges a few hundred metres from where we were. In Shujai’iya, to the east of Gaza City, the situation and sentiments were similar -- a lot of families heading back to salvage belongings or see what had happened to their homes, and then a rush back for safety when shelling started. 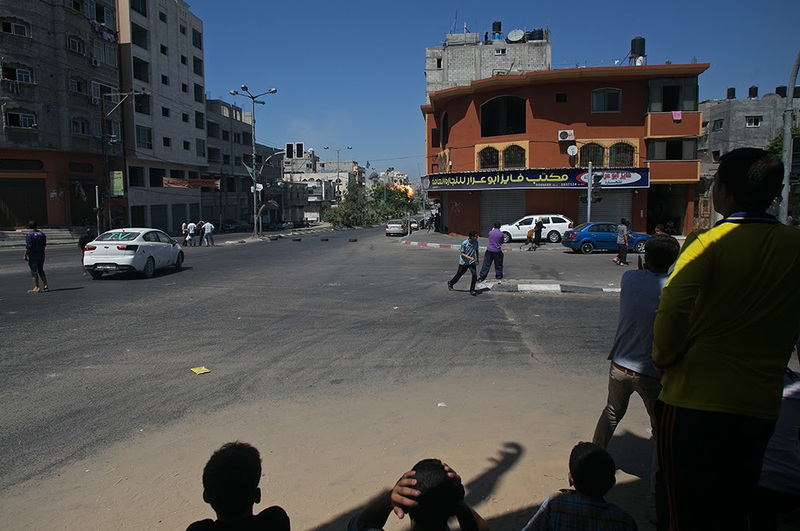 As reports of fighting and shelling and casualties in Rafah, down on the Egyptian border, started filtering in, the streets in Gaza City began to empty. Now we can hear what sounds like artillery fire, possibly from offshore. It’s not as heavy as it was overnight but is fairly steady. The fishermen are gone, except one small boat making its way back in. Very difficult to take sides in the face of such photos. then made war and now they are in a war. a few along with them. someone will have to look for it. "....bodies carried, bodies on carts and all the while the sound of continuous Israeli shelling filled the air..."
"This is what the British general Rupert Smith calls “the reality in which the people in the streets and houses and fields –- all the people, anywhere -- are the battlefield”. The Israelis did not go into Gaza to kill children. But, as Jon Snow implied in his passionate video this week, they went in knowing that they would kill children because it is impossible in that crowded, chaotic territory to pursue their foes without massive collateral damage. The only way not to kill children would be not to go in at all. And that raises the most critical issue, which is why they went in. The immediate justification was that Hamas rockets and raiding parties entering through tunnels were a threat to Israeli civilians. One may quarrel with that, because this threat has been, so far, relatively limited. It might get worse in the future, but is a country justified in the use of force because of something that may happen rather than something that has happened? That threat might never fully materialise because of Israeli technical superiority or because political developments rendered it irrelevant. "The more fundamental reason why Israel went in is not related to what Hamas or Israel has done, but to what Israel has left undone. The distinguished Israeli writer David Grossman, addressing himself to Israeli leaders, asks: “How could you have wasted the years since the last conflict without initiating dialogue, without even making the slightest gesture toward dialogue with Hamas, without attempting to change our explosive reality? Why, for these past few years, has Israel avoided judicious negotiations with the moderate and more conversable sectors of the Palestinian people … Why have you ignored, for 12 years, the Arab League initiative that could have enlisted moderate Arab states with the power to impose, perhaps, a compromise on Hamas?” If you want peace, prepare for war, says the Roman proverb. But here it is the opposite: if you want to avoid war, prepare for peace. The Netanyahu government is paying the price for having sedulously avoided real negotiations with the Palestinians through a long series of subterfuges and distractions culminating in the recent barren passage that, over many months, wore down even the ever-patient and optimistic John Kerry. 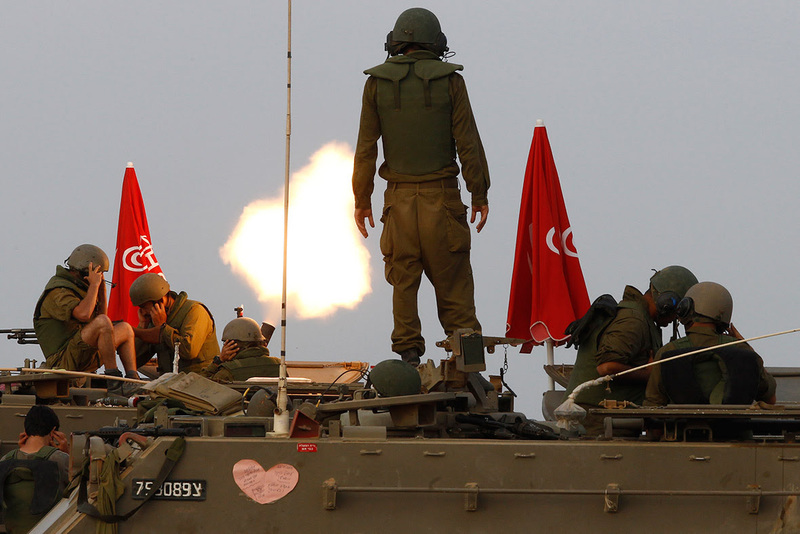 "We need a settlement that will mean no repeat of this Gaza operation. A ceasefire is urgent but will fall apart without a broader agreement." Tom, these pictures are worth 1,000s of words, these words point toward unspeakable horrors . . . I keep thinking about my father-in-law, who spent his childhood in North London during the Second World War. The house was hit a few times. They ended up with tarpaulin for a roof and about ten people living in a couple of rooms. He remembers seeing St Paul's on fire and can't speak of it without weeping. Bisan will be marked by what she has seen for the rest of her life. I've mentioned this before; they make the engines for the drones just outside Birmingham - our part in these children's trauma. The empty words that dissolve into the same reductive slogans, the omnipresent trauma from which one's first horrified reaction is to draw back. The images of a people broken into the dust, painfully attempting to rise from its knees, hold its head up, feign a bit of the dignity that for seventy years has been taken away, steadily, in increments, then occasionally in these heavy, staggering death-blows. Those who have come beneath the shadow of suffering can identify without too much trouble. The "debate" on this "issue", of course, isn't one. It's hard enough to get through the life without unnecessary exposure to the malignity of agencies like Fox News and CNN. One doesn't dare attempt to talk back, of course. Russell Brand: Israel / Palestine: Is this a debate? 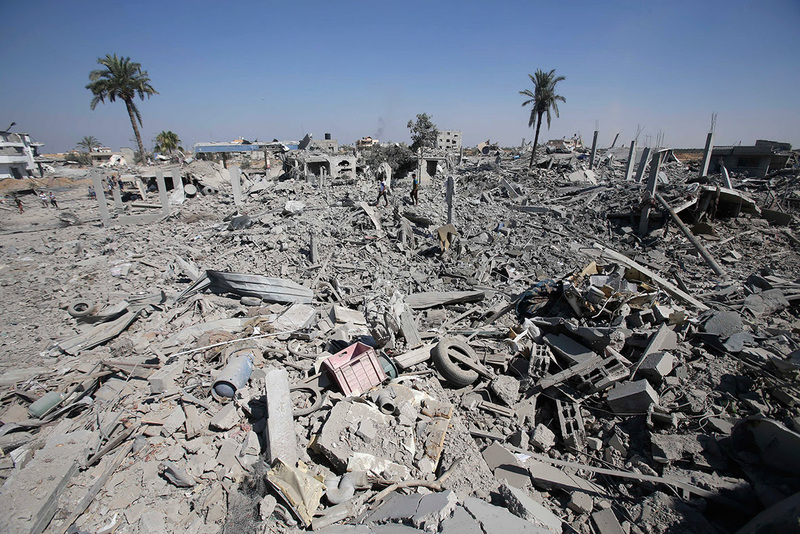 As a housebound invalid familiar with physical extremity, it's not too hard for me to imagine the aggravated circumstances of every person living under the Israeli wargasm in Gaza. Jehad Saftawi, a photojournalist based in Gaza City who works with the Institute for Middle East Understanding, has been hosting a low-end no-frills live feed. It's a meditative experience. Especially all through the Gaza night. 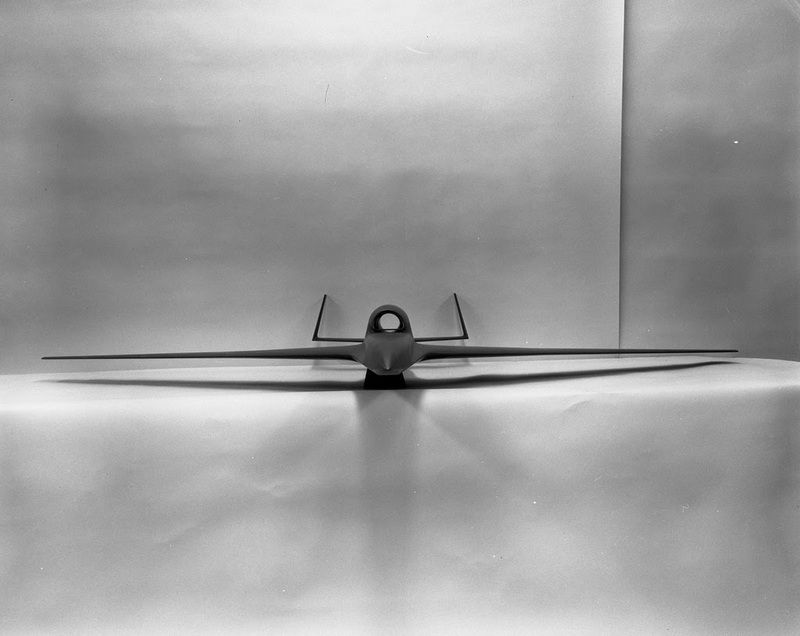 The roosters are awakened too soon by the pre-dawn shellings and bombings; the dark sky is lit by ominous flashes, the darkness penetrated by distant booms... the images and sounds of twenty-first-century-model one-sided "warfare". Last night I happened to be watching when a red flash spilled all across the screen, then a distant ball of fire mushroomed upward, pulsating with bright white light for several minutes before slowly fading. A half hour or so later, reports began to come in. 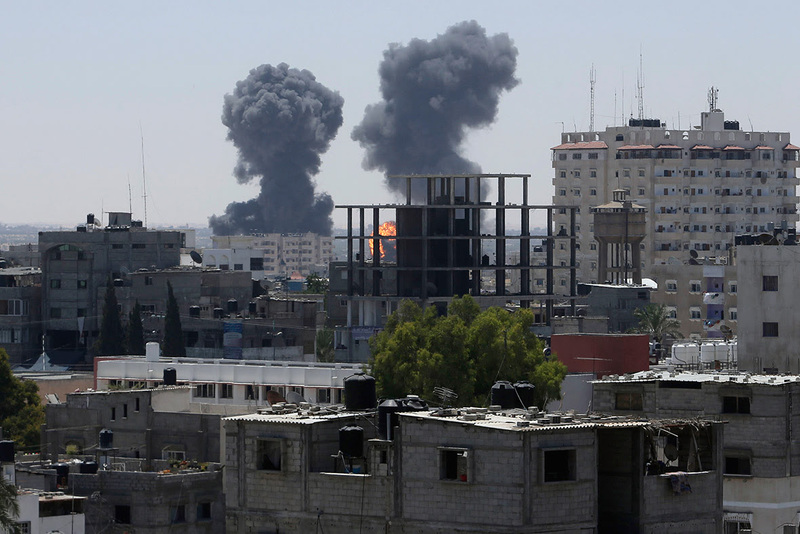 The Israelis had executed a massive strike on the Islamic University of Gaza. They last attacked the place during he 2008-2009 invasion, when bombing destroyed all the scientific faculties. The rebuilding has been a long slow project. Last night, demolished again, in a matter of minutes. The destruction of universities, hospitals, mosques, power plants, food plants -- if these acts have any rational purpose apart from instilling terror in a subject people, someone ought to step up and explain that purpose to the world asap. Amid the glass, twisted metal and shattered concrete lie exercise books and exam papers. An entire wall appears to have been flung 100 metres across a lawn. 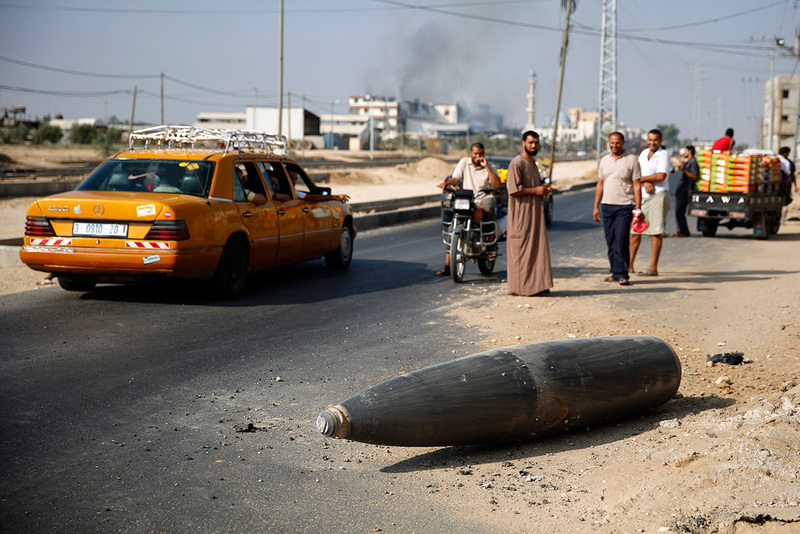 To one side, someone has placed twisted metal shards – the remains of the Israeli missile which removed almost the entire front of the four-storey administration block of Gaza City's Islamic University in the early hours of Saturday. "This is simply a place for learning. There is no reason at all for striking it," said Ramir Rahmi, 35, who works in the public relations office of the university, where 22,000 students follow courses ranging from information technology to engineering. Just watched the Russell Brand clip. Very funny and right to the point. As lousy as the news is over here we haven't got a Hannity. The crude, aggressive, finger pointed in your face "interview" style gets its point across, however unintentionally. The bullying by those who hold power and privilege is chronic and incurable. A sneer is perhaps the best response. But being an ocean away also helps -- over here the Hannitys who don't work for Murdoch are all cops, slamming perps against the bonnets of vehicles. Their bosses, the corporate defense contractors in particular, are having a field day, what with the volume of weaponry now being employed.